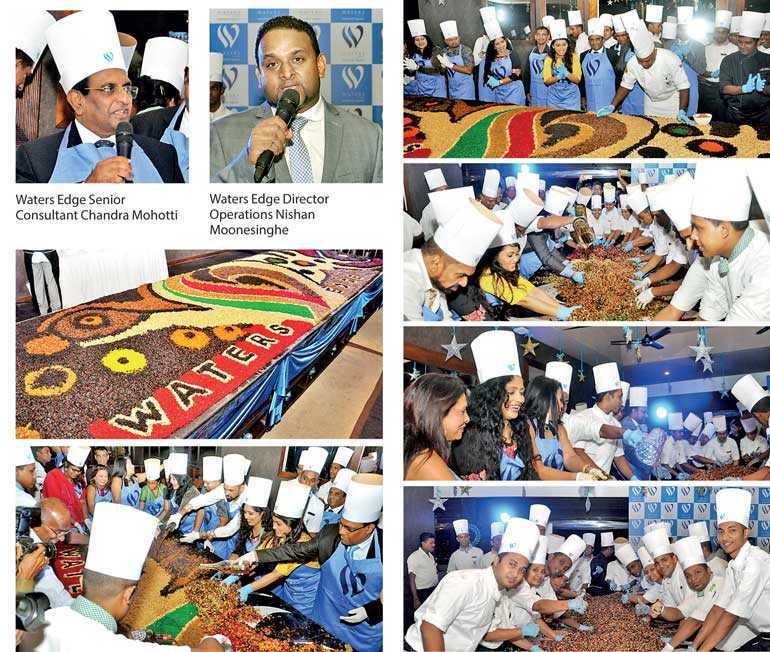 With the merry and jolly season and the most wonderful time of the year just around the corner, keeping true to the traditions of the most celebrated annual joyous seasons throughout the world, Waters Edge organised a true, fun-filled Christmas cake mixing event to welcome the festive season. Christmas cake is a must-have in every household and is a well-known favourite of the season. A dearly celebrated traditional across hotels around the globe, the Christmas cake mixing ceremony at Waters Edge stood out this year with a glamorously prodigious mixing of an 800-kilogram Christmas cake. A definite treat and sweet tooth sensation to those of all ages, this festive extravaganza took place on 9 November at the beautifully lit Pranzo lobby of Waters Edge. The joyous occasion was celebrated with some of the most prestigious and dearly loved patrons of Waters Edge throughout the years. Waters Edge invites everyone to come and enjoy the seasonal celebrations and treats during this glorious festive season.